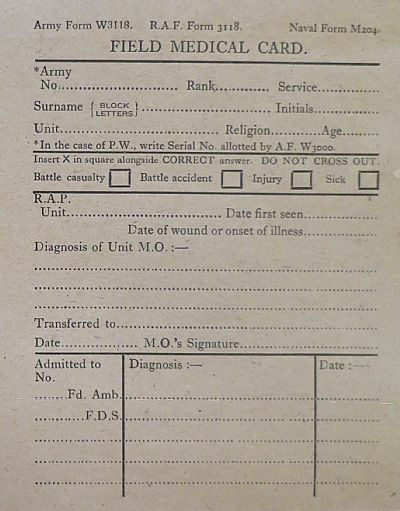 The Army Form 3118, or more commonly known as the Field Medical Card was a way of recording the treatment a wounded soldier had received whilst in the care of the RAMC. 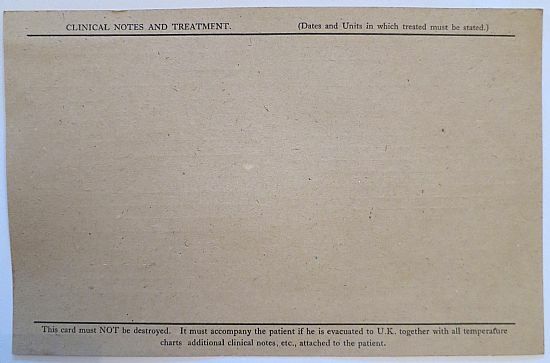 Once details had been filled in on the card, it was placed inside an envelope (AF. 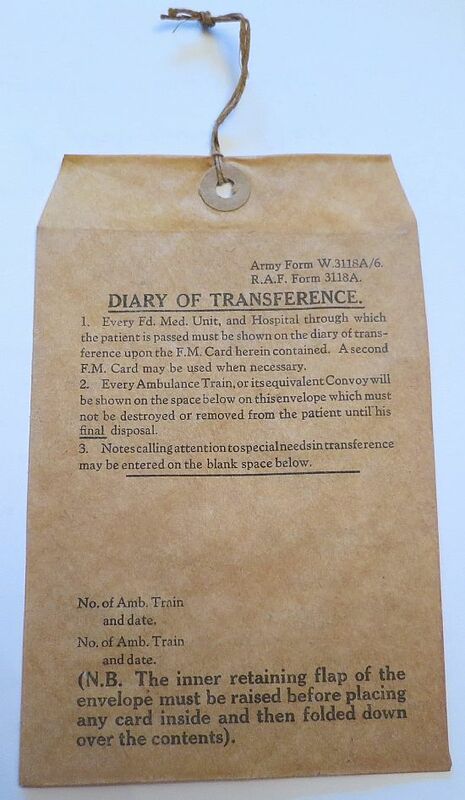 W3118A, Diary of Transference) and attached to the casualty. 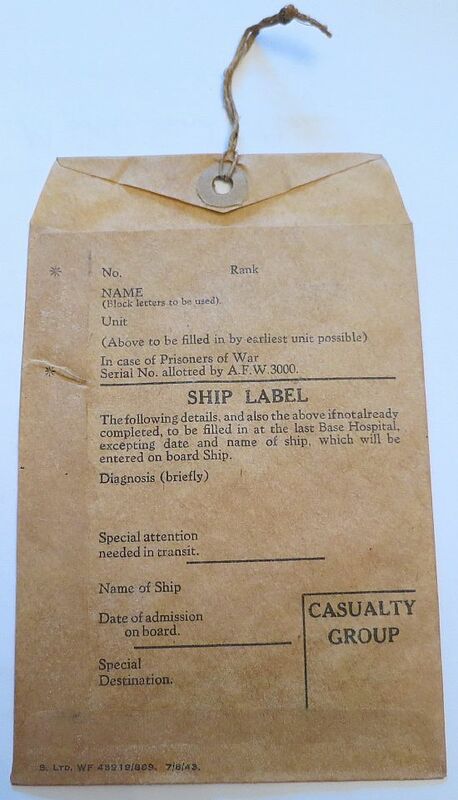 This then stayed with the soldier all the way through the RAMC's "chain of evacuation" and then back to the base hospitals in the UK. Above: Details of the inside of AF. W3118. Above: The Front of AF. 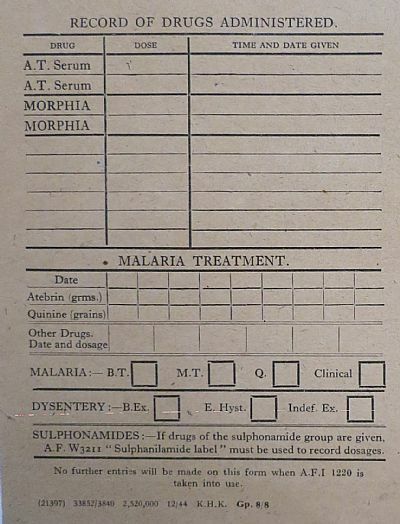 W3118A - The envelope which the field medical card would go inside (along with other medical documents, such as temperature charts etc). Above: The back of AF. W3118A.